Last week’s goal was to give your spouse compliments throughout the week. 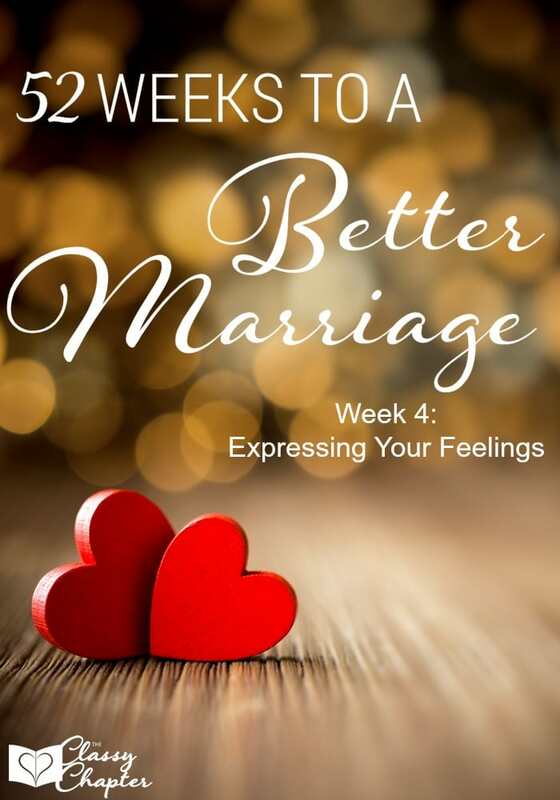 This week we are going to build on that by expressing out feelings. Following these small marriage tips will only help your marriage. While I didn’t do that well with the first two weeks of this challenge, I do believe I give my husband lots of compliments. He’s hot and he’s a great guy! I love giving him compliments. Our husbands not only need to know that we love them, but they need to know what we love about them. What makes your husband special? Why do you love being your husband’s wife? This week I’ve included a free printable and I want everyone to print it out and complete it! 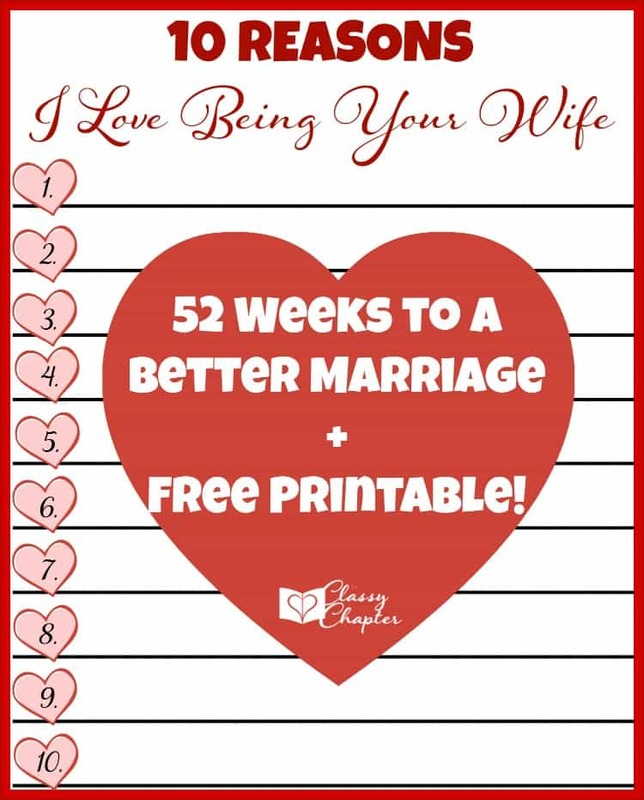 Take some time to really think about why you love being married to your husband. What qualities does he have that you absolutely love? With Valentine’s Day coming up, we start thinking about what to do or get for our spouses. Yes, Valentine’s Day is the day of love but it shouldn’t be the only day of love. Should we only be showing our spouses love one day a year? Spouses should be doing things for each other throughout the year to ensure both each other feel loved. Let’s take this time to really express our feelings. Sometimes verbalizing our feelings isn’t easy or the words don’t come out the way we want them too. By writing down our feelings we are able to take the time to really think about what we want to say and make sure it comes across the way we want it too. To find more marriage tips, be sure to follow me on Pinterest! I came across this from the Re-pin group and I just wanted to thank you for the free printables. They are awesome! You are very welcome! Hope your husband enjoys it! Do you have an index with links to each week somewhere? This series looks to be a couple years old, but I want to do it. It’s hard to track down all the links though.